Development – a word that has countless important meanings for us. It stands for our innovative spirit that continuously brings out new products. And it means progress in our own company, progress that is founded on growth in knowledge and the accumulation of experience. And it stands for the effort toward something better. Tens of thousands of GEA Bock compressors are in operation all over the world in all kind of applications. Our systems offer numerous solutions for meeting state-of-the-art refrigeration technology requirements: Compressors in a diverse range of models, sizes as well as the latest compressor control technology. 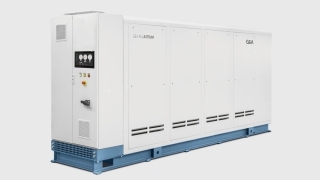 The GEA reciprocating compressor range includes 18 GEA Grasso models of compressors subdivided into 2 series: GEA Grasso V and GEA Grasso 5HP as open type compressors with focus on high efficient ammonia compressors for refrigeration and heat pumps. The full range of GEA screw packages - First-class work based on proven developments. The world-class quality of our screw packages is the product of years of experience in compressor technology. Everything is focused on value and functionality from development in our research labs to the production processes and quality assurance. The high reliability and long life of our GEA screw compressor packages is the result of fifty years of experience in compressor technology. Everything began with a series of single-stage packages. Today we produce various models with more than 50 different package sizes. They are suitable for the operation with natural and all other common refrigerants. Next to our standard models we also produce tailor-made solutions for customer-specific needs. 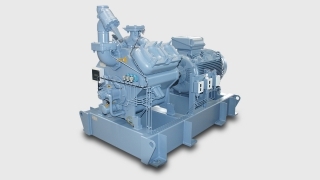 GEA piston compressor packages, designed for cooling and freezing applications in medium and larger sized industrial applications, are famous for their simple straight forward installation and long life time. Sophisticated programs support our worldwide sales team, to design the optimum package for the job. 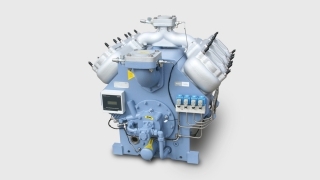 A typical GEA Grasso piston compressor package comprises: efficient oil separators, low maintenance V-belt or direct coupling drive line, a sturdy base frame for various engine room layouts and latest technology electronic systems for general control, safety and indication of upcoming maintenance intervals. High efficient VSD modules are available to maximize package efficiency & life time. At least 60% of all compressors produced at GEA Grasso are turned in to a package before they leave the factory. The choice of components to fi t on and around the compressor is huge and the fact that all required components are factory fitted gives the contractor the advantage that he can concentrate for 100% on the erection of the refrigeration plant. 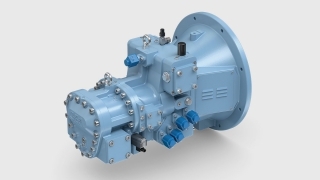 Direct drive or V belt drive arrangements are available for all compressors. The introduction of high power inverters in combination with maintenance free couplings gives the customer nowadays the opportunity to positive influence his energy and maintenance costs. 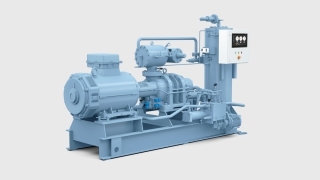 The extreme low oil carryover, related to the design of the compressor is on cooling applications even less that 10 ppm and gives the customer the opportunity to execute a compressor package with or without an oil separator, depending on their demands. 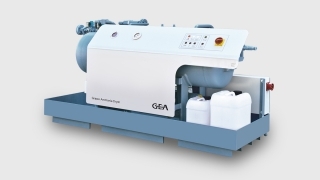 GEA chiller indicate a focus on the development and manufacture of cooling systems. Our specialists, however, are also well qualified and experienced in work with heat pumps. In fact: heat pumps and refrigeration systems operate on the same physical principles, and key components in both systems include such elements as compressors and heat exchangers. 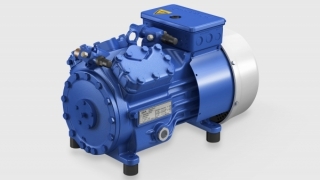 They are the heart and, literally, the pump of the heat pump: GEA piston and screw compressors. These compressors are especially designed for the great final compression pressure in a heat pump. They offer condensation temperatures that are effective not only for operation of the low-temperature heating system, but also for the supply of process heat. Suitable for use with natural refrigerants, non-corrosive gases and liquids, and cooling brine. 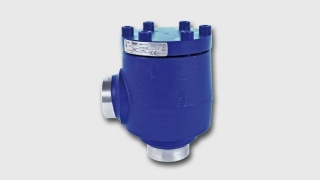 These valves and components are perfectly designed, developed, and manufactured in accordance with your specifications. 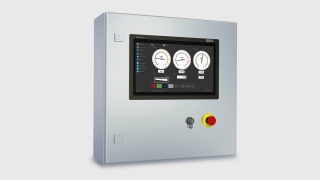 Electronic control systems often remain unnoticed, since their performance cannot be measured in impressive kilowatt ratings or volumetric flow. But it can be expressed in intelligence – which helps to find the optimal operating point, to save energy, to determine machine operating times and capacity utilization, and to thus enable maintenance based on the operating state. Whether for individual units or complete refrigeration systems – we deliver the control systems that assure you maximum benefits.